Did you just buy your first Rock Island Armory 1911? It’s a great, reliable choice—but as a responsible owner, there are a few things to know when it comes to caring for your new 1911 pistol. Here are a few 1911 upkeep tips to remember. Whether you find cleaning and routine maintenance of your guns a necessary annoyance or a relaxing activity, it’s a must-do task. Maintaining your guns will help keep them running smoothly well into the future. Generally, a gun with simple engineering and fewer parts will be easier to take apart to clean. The highly respected 1911 pistol easily fits the bill. Here’s what makes cleaning a Rock Island Armory 1911 a walk in the park. 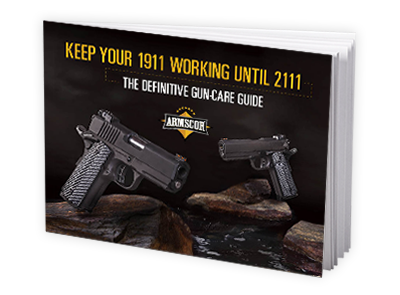 Keeping your 1911 clean will help it run smoothly long into the future. If you already know how to field-strip and clean your 1911, you're in good shape. 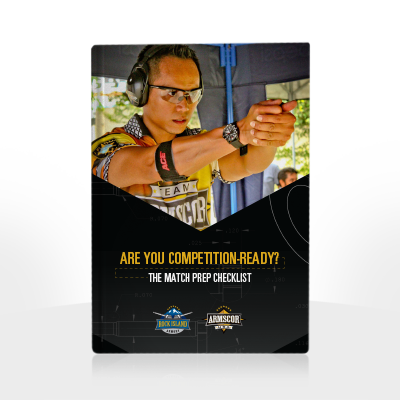 But you may still be wondering how to tell when your pistol needs a cleaning. So you have a smooth, hard-hitting Rock Island Armory 1911, and you've just finished putting a couple hundred rounds down range. Now it's time to give your 1911 a good cleaning. Periodic cleanings will help keep rust away, reduce carbon build-up and remove any metal shavings that get stuck in the barrel. Proper maintenance will prevent malfunctions and keep your barrel in great shape. Before you start cleaning, you'll want to gather the following tools first. When was the last time you performed a full clean of your 1911 pistol? No, we're not talking a quick polish or lubrication - we mean the full clean. Every new gun owner makes mistakes at some point. And it's nothing to be ashamed of. Don't assume that you're immune to mistakes. Most are not catastrophic and have fairly simple preventive measures.